Gem Diamonds Ltd. a leading global producer of high-value diamonds, with a 70% stake in the Letšeng mine in Lesotho and 100% ownership of the Ghaghoo mine, currently in development in Botswana, has just released its Interim Management Statement (IMS) for the Period January 1, 2014 to May 9, 2014. According to the section dealing with production in this report, at Letšeng 26, 055 carats were recovered in the first-quarter 2014, which represents a 39% increase on the first-quarter production of 18,775 carats in 2013. There was a corresponding increase in the quantity of ore treated in the first-quarter from 1,474,158 tonnes in 2013 to 1,580,379 tonnes in 2014, equivalent to a 7% increase. Likewise there was a significant increase in the grade of the ore recovered from 1.27 carats per hundred tonnes (cpht) in first-quarter 2013 to 1.65 carats per hundred tonnes in Q-1 2014, an increase of 30%. In other words Letšeng’s operational performance in Q-1 2014 exceeded Q-1 2013 in all aspects and continued with the good performance achieved in Q-4 2013. 1) 17 rough diamonds achieved a value in excess of US$ 1.0 million each during this Period. 2) 44 rough diamonds achieved a value in excess of US$ 20,000 per carat during this Period. 3) A total of 171 rough diamonds greater than 10.8 carats in size were sold in this Period, equivalent to 81% of Letšeng’s revenue for the Period. 4) Two exceptionally large diamonds weighing 162.02 carats and 161.31 carat were recovered in January 2014 and were sold in February 2014 for US$ 11.1 million and US$ 2.4 million respectively. According to the report a relatively strong rough market was experienced during the Period. The demand for rough diamonds observed in the first three Letšeng tenders held in 2014 continued the positive trend seen in Q4 2013 with increased buying activity and strong prices, notwithstanding that the same liquidity concerns raised in 2013 and the tightening of lending criteria previously announced by certain Belgian banks still remain. 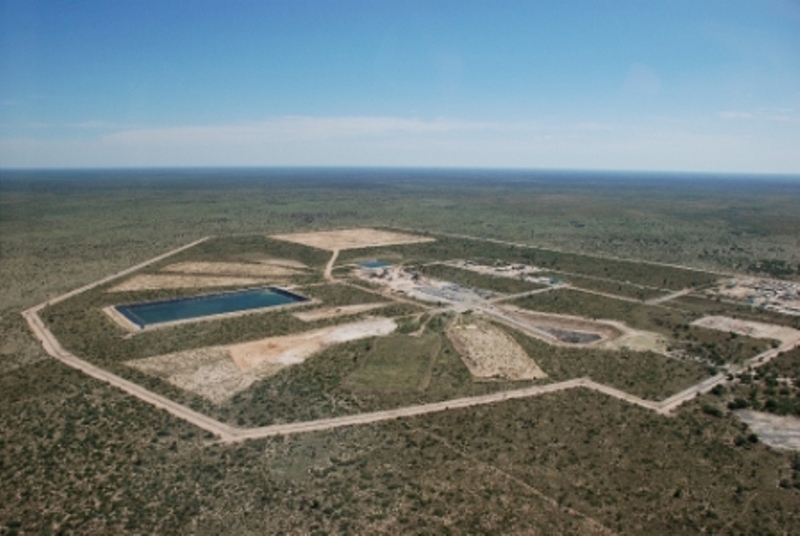 In respect of Gem Diamonds’ wholly-owned subsidiary, Gem Diamonds Botswana, which is currently developing the Ghaghoo mine in Botswana, the report says, the development of the Ghaghoo mine is progressing well and commencement of commercial production remains on schedule for second-half of fiscal year 2014. Kimberlite was intersected in the first production tunnel on level one in early May and drilling of the first of three ventilation holes was completed. The second ventilation hole is 80% complete and should reach its planned depth of 154 metres during May 2014. The drill pad for the third hole has been completed. Plant commissioning is progressing satisfactorily. As at 31 March 2014, US$ 76.3 million of the total capital budget of US$ 96.0 million had been spent.